We offer competitive rates and easy access to your unit via a secure-coded gated system. Our professional staff is courteous and knowledgeable, ready to answer all of your storage and packing-related questions. Store-More offers both standard and climate-controlled units, being both heated in winter and cooled in summer. Humidity is also regulated to protect against fluctuating external conditions. This stability is critical to the long-term maintenance of wood, leather, paper and electronic items. We highly recommend a climate-controlled unit when such items are to be stored. With Store-More, there are no long term contracts to sign and our basic rental term is month-to-month, with a one-month minimum. You need only provide ten days notice when deciding to vacate your unit. 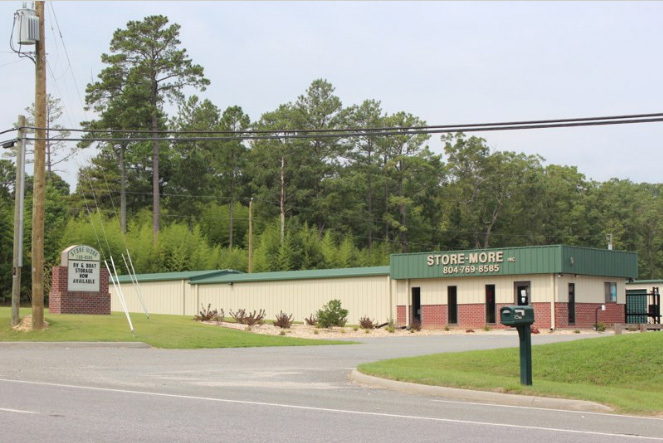 Store-More invites you to visit our facility in Aylett and meet our friendly staff. Do not forget to ask about any move-in specials that we may be offering at this time! 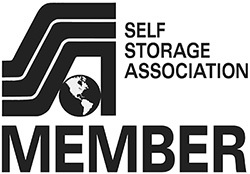 Store-More is also a proud member of the Self Storage Association.